We left on Tuesday morning, February 8th departing from Richmond via Alt 90 west [Map]. It took us less than 3 hours to make Gonzales. We stayed at the Gonzales RV Park on Hwy 183 north. The only other trailer in the park was a permanent one, so we had our choice of sites. One thing that's nice about visiting small towns like this is that you can walk to almost everything there is to see. And during the middle of the week, we had the town pretty much to ourselves. 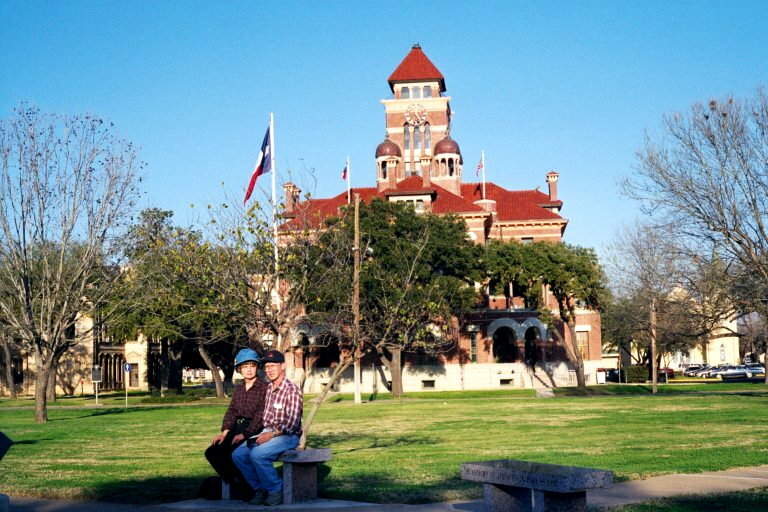 Kay & Lawson in front of the Gonzales County Courthouse. 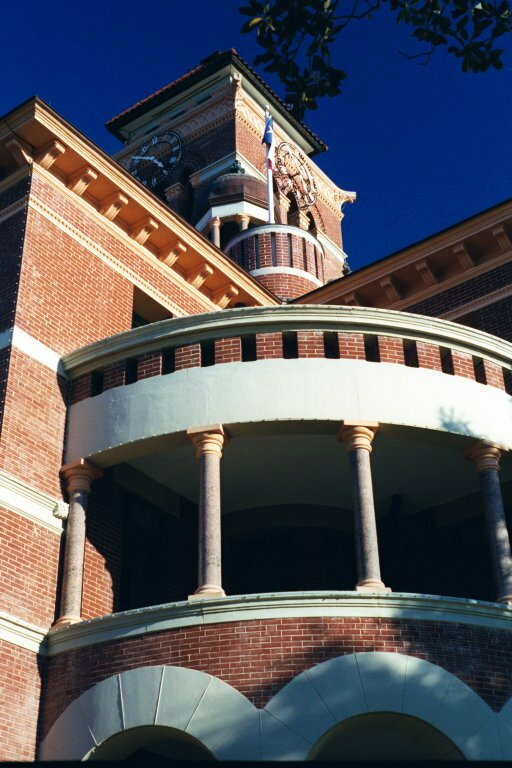 Gonzales was where Texas was born. 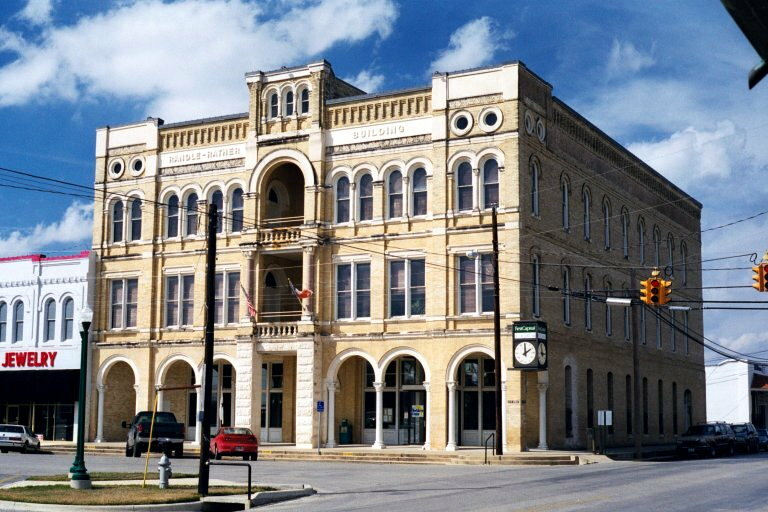 In 1825 Green DeWitt established a colony at the confluence of the Guadalupe & San Marcos Rivers. 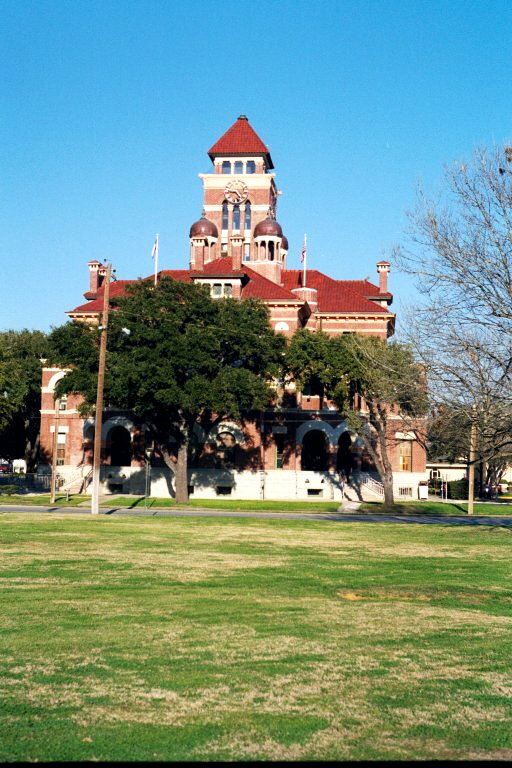 Gonzales is the only remaining town in Texas that has retained the same plan as surveyed by the Mexican government in 1832. Gonzales played a major role in Texas' fight for independence. It was the site of the first shot of the revolution. Forty members of the colony died in the Alamo, including the 'Immortal 32', who were the only men to answer Travis' desperate call for reinforcements. 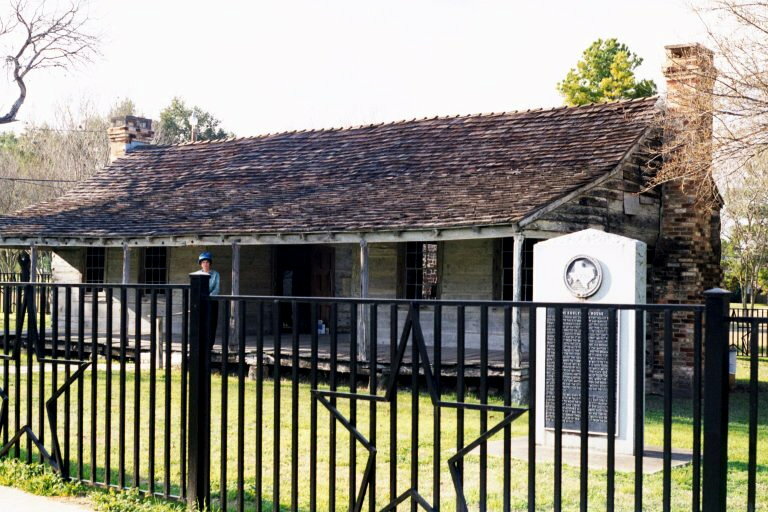 Gonzales was also the site of the Run-Away Scrape, the beginning of Sam Houston's famous retreat to victory at San Jacinto. The 'Come & Take It' cannon fired the first shot for Texas' independence at Gonzales on October 2, 1835. 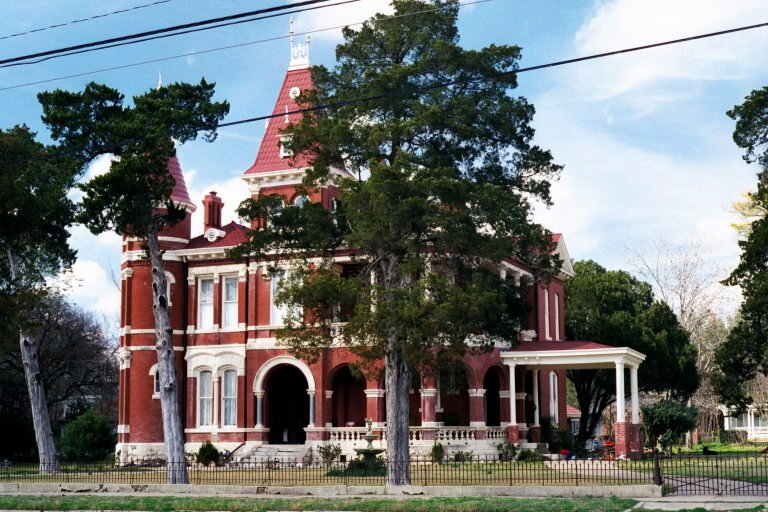 It had been loaned to the Gonzaleans in 1831 by the Mexican Government for protection against the Tonkawa Indians. In late September, 1835, Santa Anna ordered Col. Ugartechea, Commandant at Bejar (San Antonio) to return the cannon to the Casas Reales (Mexican Armory at Bejar) and sent Lt. Francisco Castaneda and 150 Dragoons to pick up the cannon. The request was refused by 18 Gonzales men on the east bank of the Guadalupe. The Mexicans were on the west side of the river and couldn't cross it because the Gonzaleans wouldn't let them. The Mexicans tried for several days unsuccessfully to find a crossing. By then reinforcements arrived and the Gonzaleans dug up the cannon from its hiding place in the peach orchard of George Davis and mounted it on the axle of Eli Mitchell's cotton wagon. Sarah Seely and Eveline DeWitt took a wedding dress and stitched it into a white flag bearing a black star, a cannon, and the words "COME AND TAKE IT". 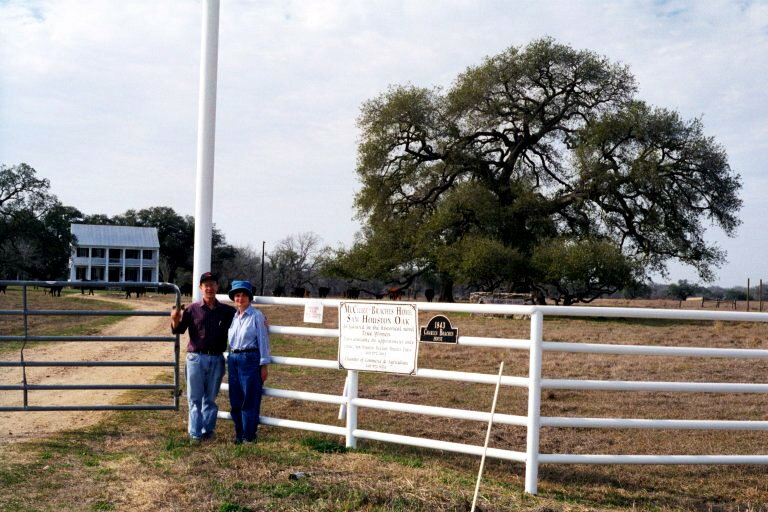 On the evening of October 1, 1835, the Texans numbering 160 with the reinforcements, crossed the Guadalupe and, in dense fog the next morning about 6 miles northwest of Gonzales, encountered the Mexican forces on the Ezekial Williams' Ranch (where Cost, Texas is now located). Here the cannon fired a charge of pieces of chain and scraps of metal, scattering the Mexicans in retreat to San Antonio. The Texas Revolution had begun. We started our visit at the Chamber of Commerce office in the County Jail. 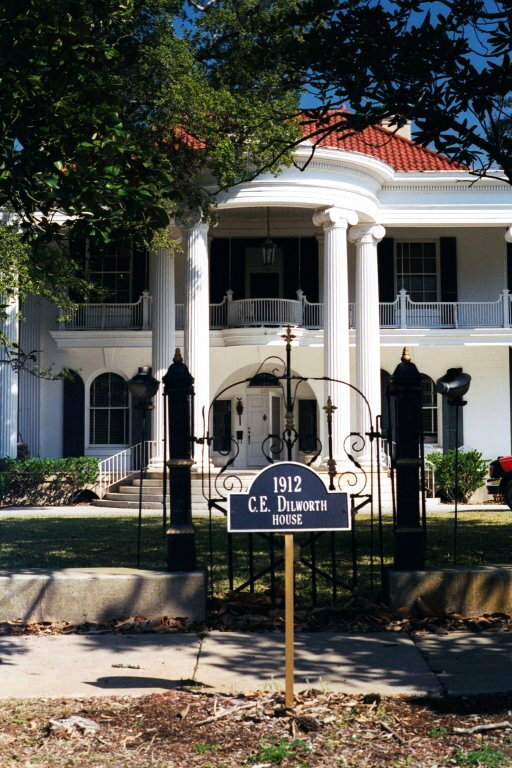 Built in 1885-1887 at a cost of $21,660.20, and used until 1975, it is now a museum. There are several interesting displays of law enforcement artifacts and you can tour the jail cells...not a very nice place to live! Memorial Museum - 414 Smith - 1936 - Constructed of Texas shell stone trimmed in Cordova cream limestone, the Gonzales Memorial Museum was erected in 1936 as a Texas centennial project. 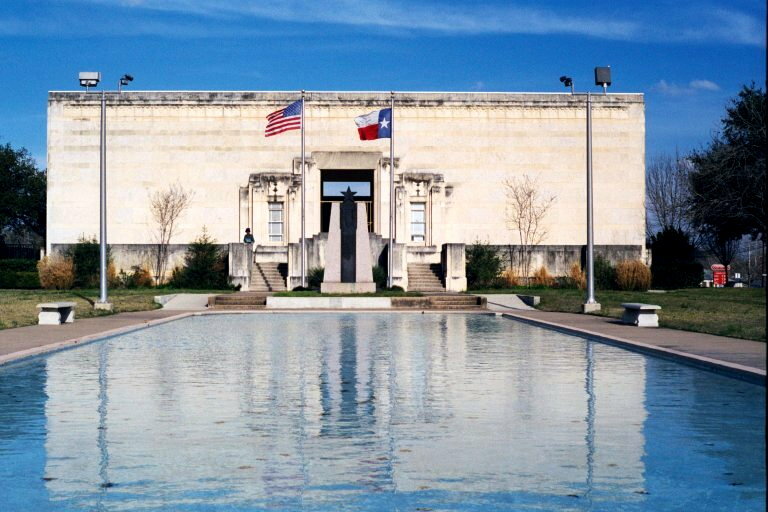 It was built to commemorate 'The Immortal 32' and those who died in service of the Republic of Texas. It houses the 'Come & Take It' cannon, which fired the first shot. Behind the building is an amphitheater built at the same time. 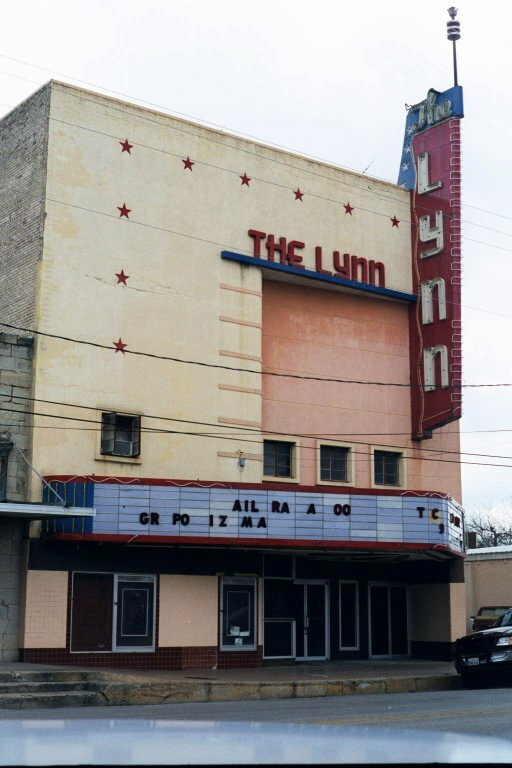 Lynn Theater - 300 St. Paul - I don't know anything about it, but it looked worthy of a photo. 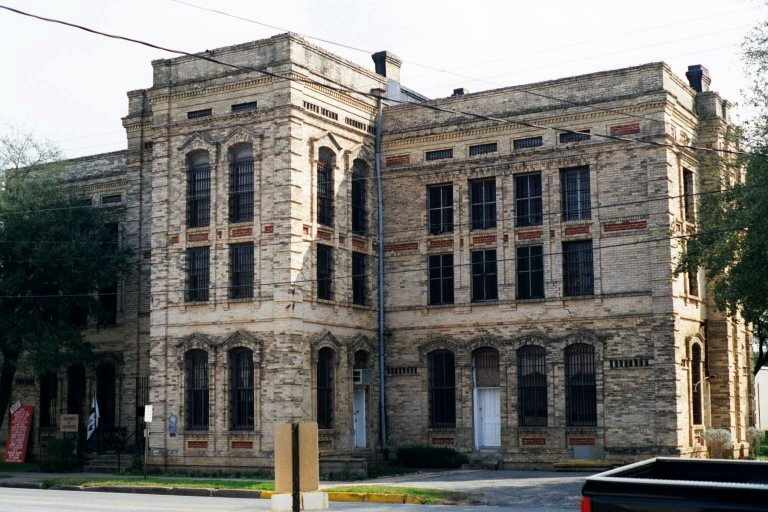 Randle-Rather Bldg - 427 St. George - 1896 - 3 1/2 story Roman Revival built of brick made in Gonzales. Mobil Service Station - Corner St. Lawrence & Hamilton - I don't know what the story is for this well-maintained old looking service station. Gonzales Power Plant - Hwy 183 at Guadalupe River crossing. 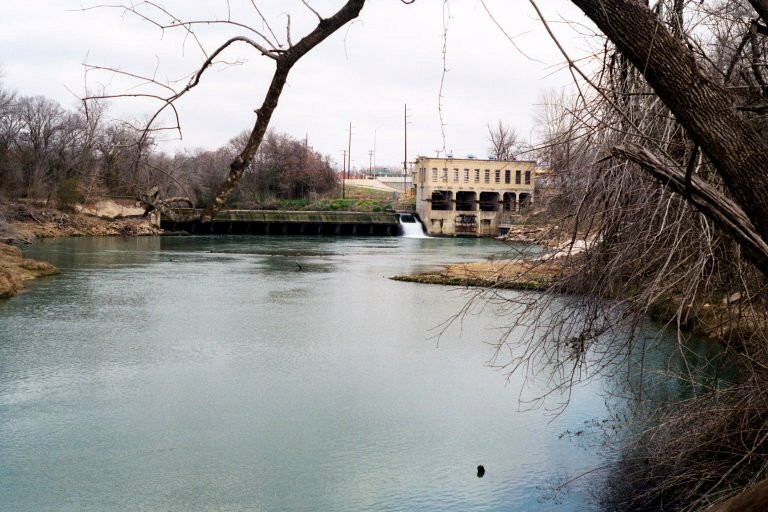 The Gonzales dam on the Guadalupe River is essential for flood control and water recreation. It also contains a functioning hydroelectric plant. The power plant was built in 1925. The dam itself is older, dating back to the teens. The plant produces an average of 1.1 megawatts, which makes up about one sixth of Gonzales' power supply. There are three generators, set on different float switches. Most of the time they only run one or two. 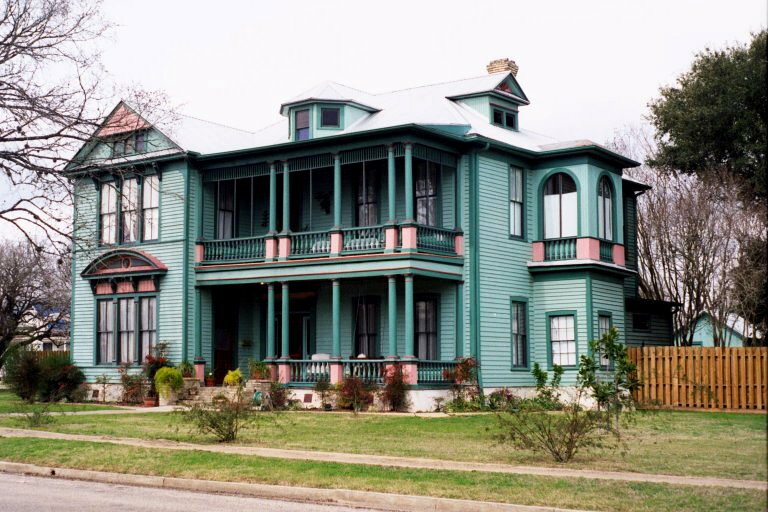 A Sampling of Gonzales historic homes. Judge T.H. 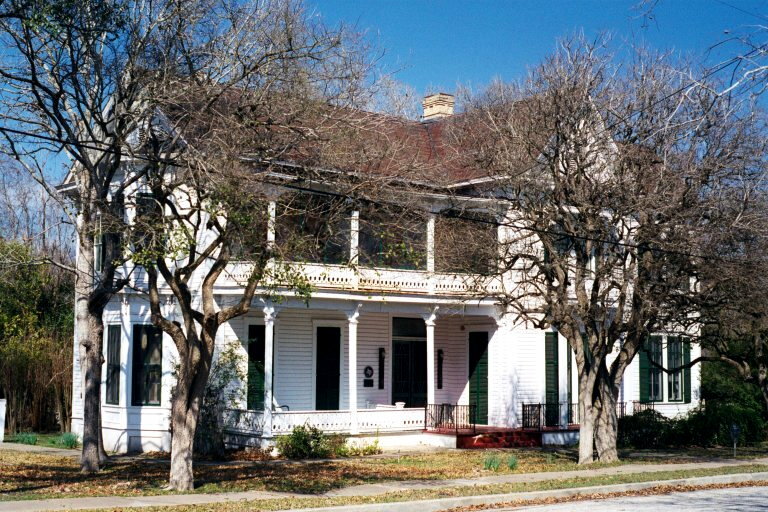 Spooner Home - 207 St. Francis - 1875 - First house to use natural gas. I.N. 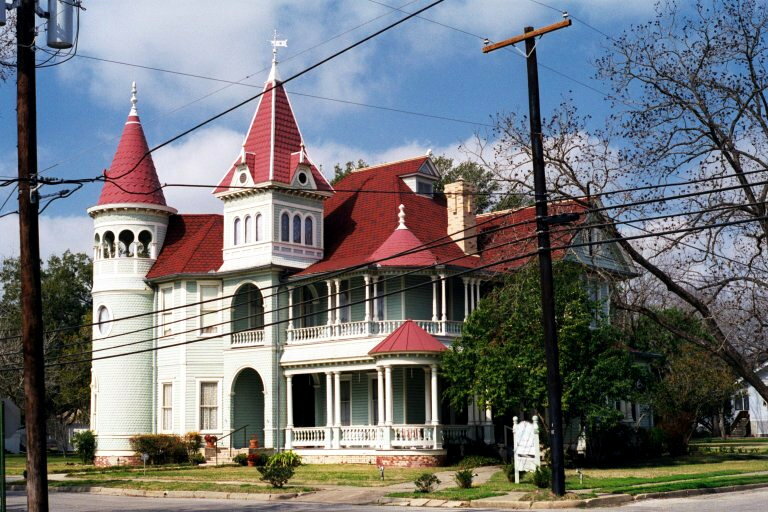 Sneed Home - 213 St. Andrew - 1876 - Originally Mansard-style architecture, remodeled as a two-story late Georgian style. 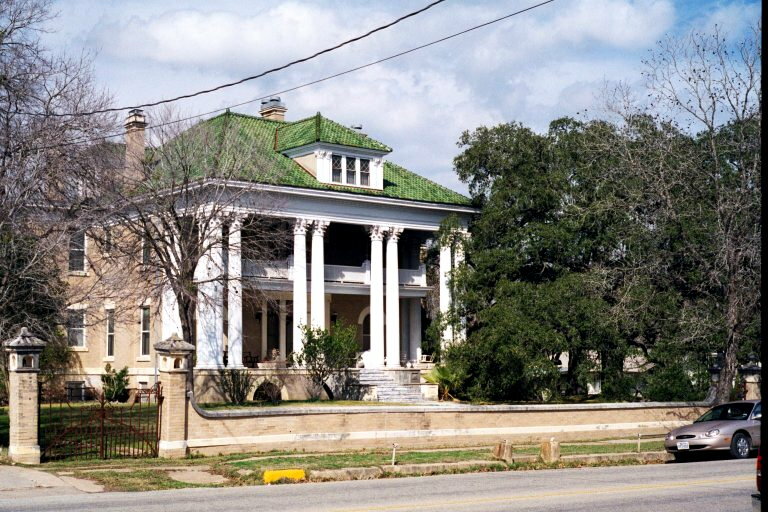 Dunn Houston Home - 619 St. Lawrence - 1898 - This residence remains essentially unchanged from its original appearance. 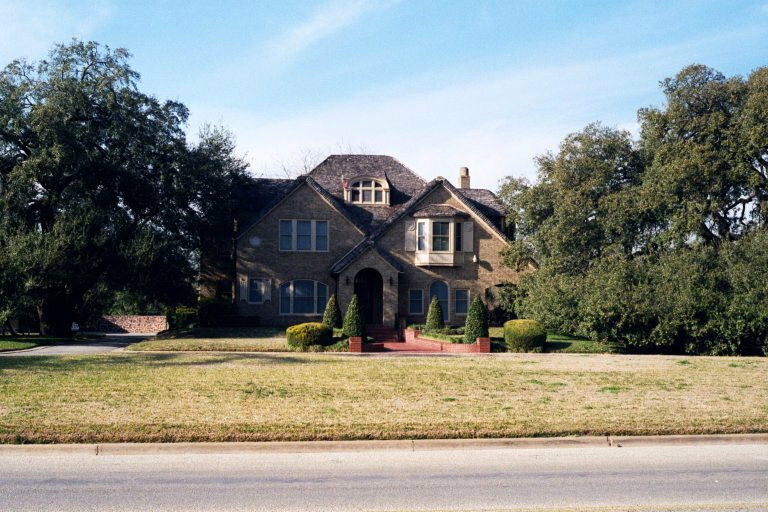 Robert Scott Dilworth Home - 903 St. Lawrence - 1908 - Classic Revival architecture. Sweeney/Dilworth Home - 1109 St. Lawrence - 1926 - Cotswald Cottage or English Tudor style. Eagleston House - 1300 St. Louis - 1845 - Oldest standing structure in city. Dog Run Log Cabin. 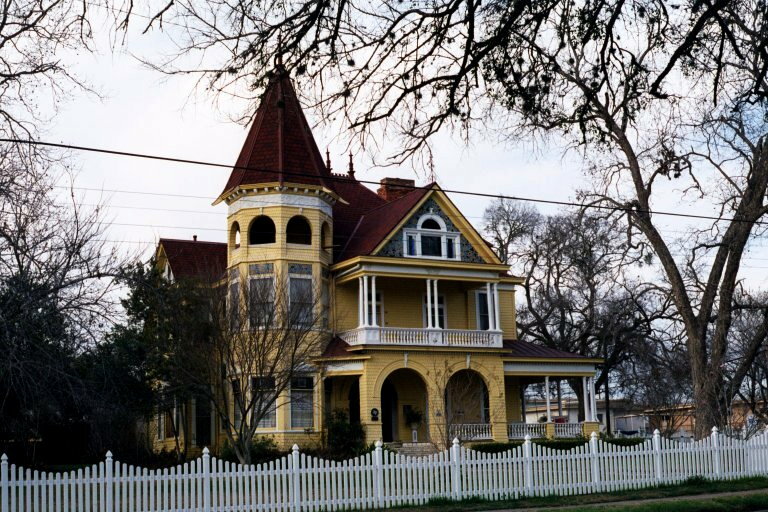 Kennard/Bowden Home - 621 St. Louis - 1895 - Late Victorian residence is one of a few of its type remaining in Texas. Queen Anne/Shingle Style. J.F. Remschel Home - 524 St. Peter - 1907 - New Orleans Raised Cottage style. 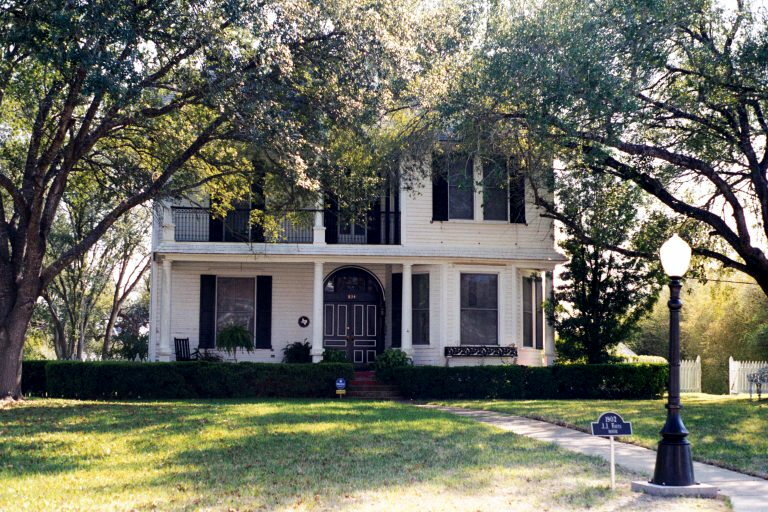 Dr. J.J. Gouts Home - 834 Mitchell - 1902 - Built of Florida curly pine and cypress from his father's sawmill. T.N. Matthews Home - 829 Mitchell - 1885 - Barns and servants' quarters on grounds. Built of Florida long-leaf pine shipped through Indianola. The McClure-Braches Properties are located approximately 8.5 miles east of Gonzales on County Road 361, off U.S. 90-A. 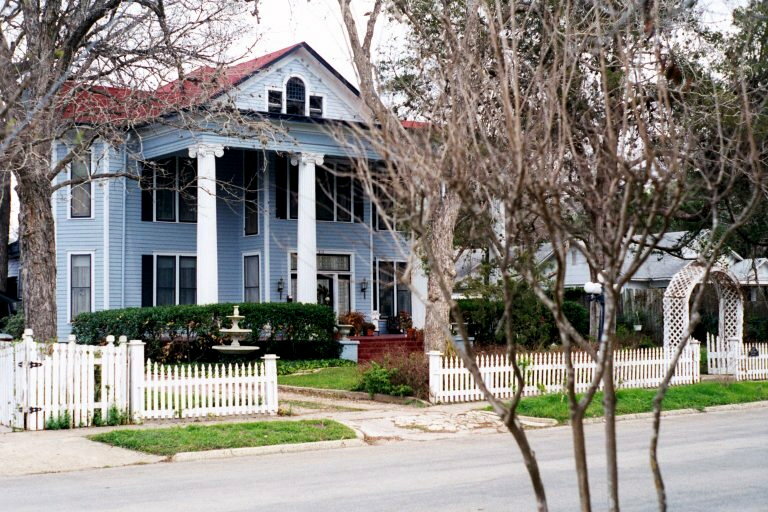 The Braches house, believed to have been completed in 1843, was known as a cultural center for this part of Texas and is older than any house in Gonzales. 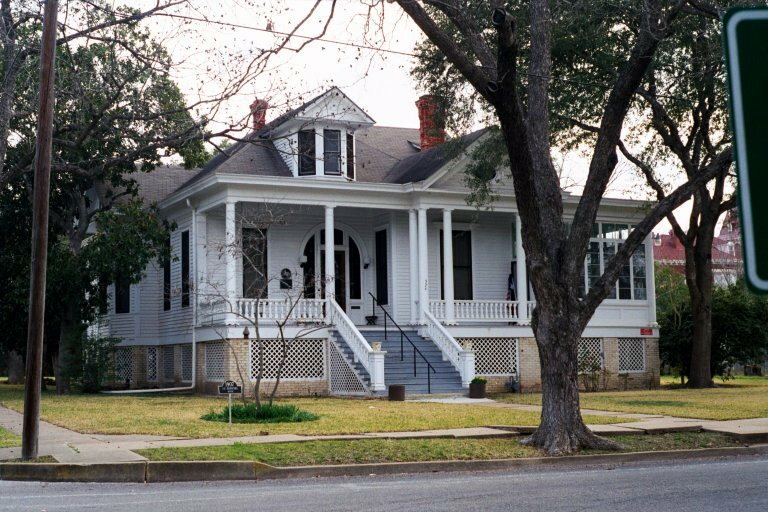 It is a Greek Revival Plantation style home. 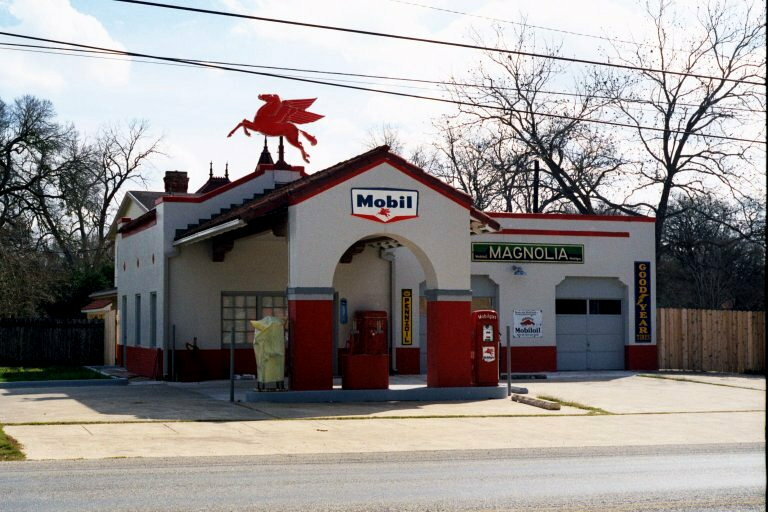 During 'The Runaway Scrape', when General Sam Houston ordered the burning of Gonzales before Santa Anna's soldiers, his rag-tag army made their first rest stop here. The General is said to have tethered his horse to the tree that bears his name. Well, this ends our Gonzales, TX RV trip. We hope you enjoyed our web page. God willing, we plan to take another short TX trip soon.